Several airlines companies are offering new direct flights to Lanzarote. Great news for those who want to visit this unique island! adding these destinations to existing Easyjet routes to London, Paris, Milan, Amsterdam, Liverpool, Belfast, Bristol and Basel. Smartwings starts with their new flights to Lanzarote departing from Lille Lesquin in November 2018, interesting for our Belgian clients. A very interesting search robot for flights is www.skyscanner.com but always check the price on the website of the proposed airline company. 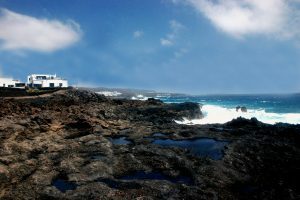 Especially for our clients, we offer our free service to help you find the most interesting flights to Lanzarote. Not used to book flights online? No problem at all just let us know we help you to organise your unforgettable holiday to Lanzarote! Holidaymaker with the official licence “Viviendas Vacacionales”… your guarantee for a carefree holiday!